"As Good As Your Last Catch" is an on-going stream of photos of the Wild West Crew at work. No matter how many years a fisherman may spend at sea, his future lies within a wispy fog of uncertain conditions, as "you never know what you're going to catch" (a jingle-twist off of Pawn Stars). 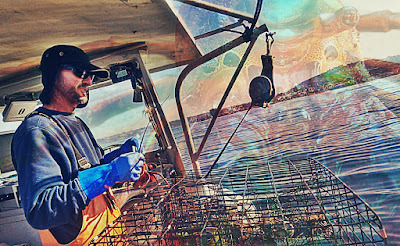 As he is temporally sandwiched by his rich history of compounding maritime experience, and the chronic discomforts of an unknown future... the passing credibility of any just-docked harvester is humorously noted as "You're only as good as your last catch" (hence the name of this here media photo stream). ROCKFISH MANIA AT TUNA HARBOR DOCKSIDE MARKET: 11-26-2016. Within 15 minutes of Tuna Harbor Dockside Market's opening, all of the Wild West rockfish and Three Boys coastal catch "flew off the table," as they were were snagged by eager early bird seafood customers. All we had left for sale was slush ice and a shrug, "Try next week, bro. Come EARLIER." FISH-OFF: 11-26-2016. 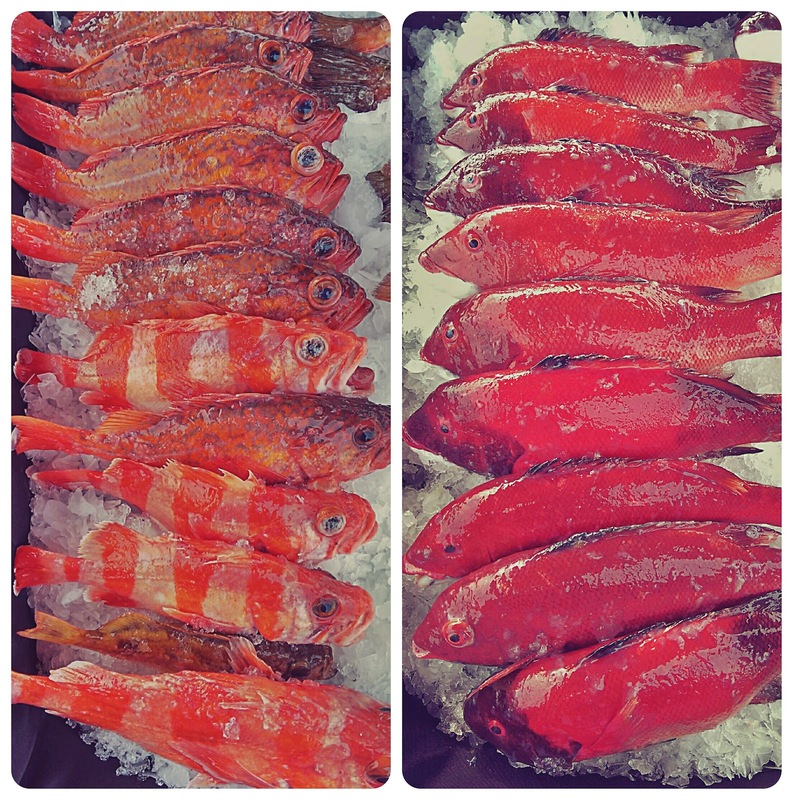 Over Thanksgiving Weekend, the Tuna Harbor Dockside Market's Three Boys Booth, owned and operated by Captain Kelly Fukushima, featured Wild West rockfish, along with sheephead and other nearshore fish caught by Kelly himself. 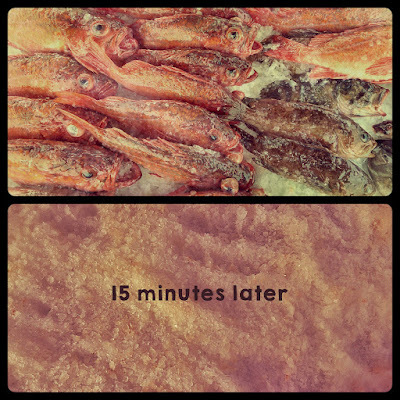 About 95% of the fish were gone within the first half-hour from the market's opening, and the last six fish were sold by 9:15 am. It's nice to go home early with empty coolers! BLAZING SUNRISE: 11-25-2016. 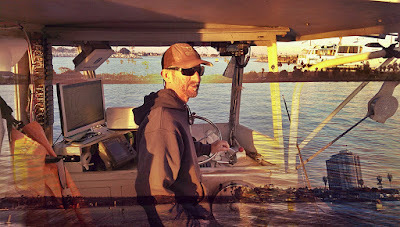 On a bright Friday morning the day after Thanksgiving, Captain John Law steers the Wild West through Mission Bay in pursuit of coastal rockfish. DECK CRAWLER: 11-8-2016. This spiny lobster jumped from the bucket and started to make his way around the deck of the Wild West! Given his unruly mojo, we might as well have hired him as crew! 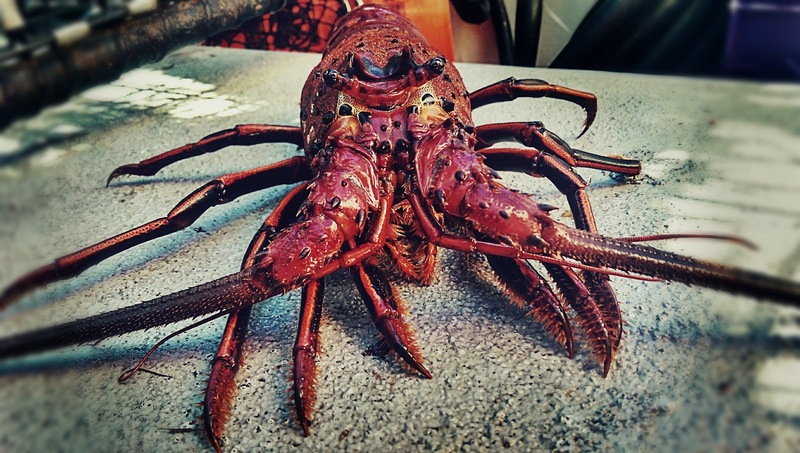 POLITICAL LOBSTERFEST::: 11-8-2016: On our very fateful shock of Election Day, Captain John Law, owner of Wild West Commercial Fishing, measures a spiny lobster caught in North La Jolla to verify its legal carapace length. We all hope that Americans support local, US-caught seafood that ensures the sustainability of marine resources and the livelihoods of self-made, hard-working fishermen. PREDATOR OR PREY AT THE LOBSTER BUFFET::: 11/8/2016: To eat or to be eaten: A usual suspect predator who typically munches on trapped lobster legs gets a dose of his own medicine as the head of an adult male sheephead becomes a highly desirable lobster feast, along with a small potpourri of salmon heads, rockfish, and other fish scrap used to bait a small string of coastal traps. SARDINE SKIES: 10-30-2016. 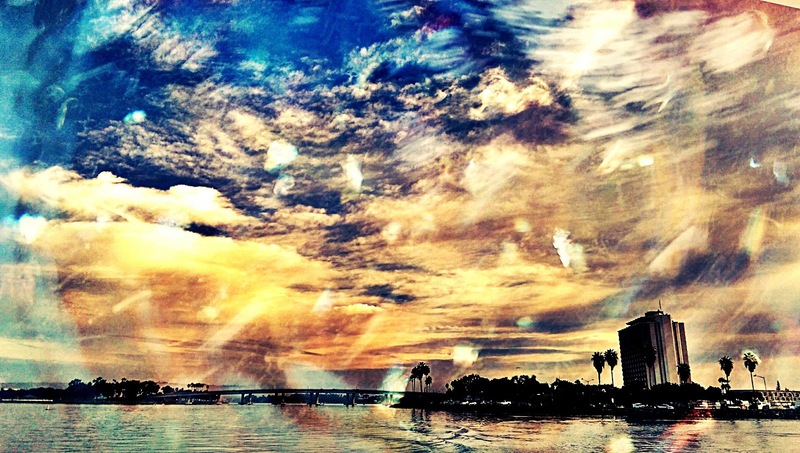 Wild West embarks on a coastal hook-and-line rock cod trip from Mission Bay. Since the theme of the day was a special Halloween Hunt for boccaccio, we stopped at the bait barge to pick up a scoop of preferred amusement: live sardines. A native to San Diego, John Law has been commercially fishing for lobster, crab, and a variety of fish for over twenty years, with 40+ years of cumulative maritime experience. His ocean-going vessels, dubbed "Wild West" and "Rock Ridge," operate out of Mission Bay, California, the home of a loose community of independent, small-scale-yet-high-producing marine harvesters and urchin divers. >NEW! NEW! NEW! AS GOOD AS YOUR LAST CATCH ::: Wild West Media Photo Stream! 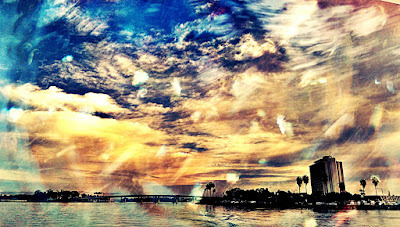 >Mission Bay Catch of the Day ::: Featuring Wild West Seafood! >San Diego Sea Urchin ::: California Gold Uni ::: Diver Direct from Captain Gary Harle! >NEW! NEW! NEW! WILD WEST'S CURRENT CATCH! >NEW! NEW! NEW! SUBMIT EMAIL FOR LOCAL SEAFOOD UPDATES! >About Wild West Fishing ::: A WORK IN PROGRESS!! !